As you complete your Back to School preparations, don't forget about the healthy snacks! 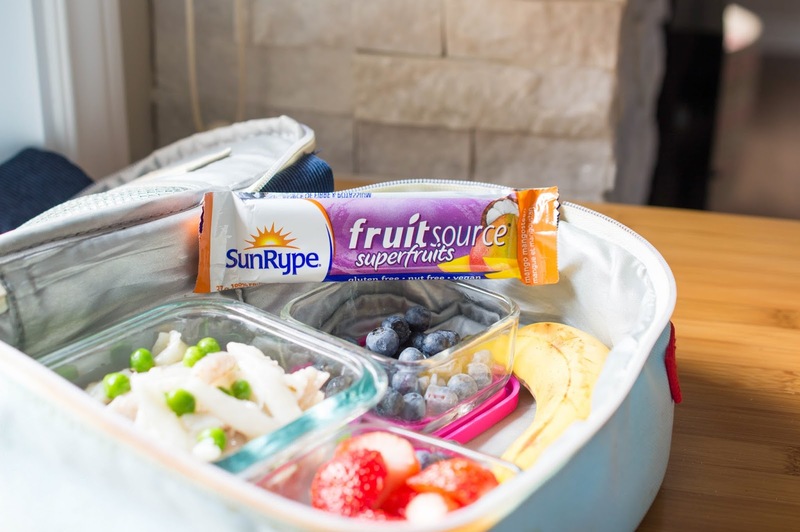 Whether you're including them in a lunch box or sending them for a midday treat, SunRype Fruit-to-Go strips and FruitSource bars are a fantastic, easy choice for kids. We buy these in bulk and use them as a healthier alternative to chips or snack cakes. Teachers will appreciate it, too! These fruit strips with ridges are our favorite SunRype products. They feel like a much better choice than adding cheese crackers or chips to a lunch.They are pretty sweet and we find that one is typically enough to satisfy any food craving for quite a while. 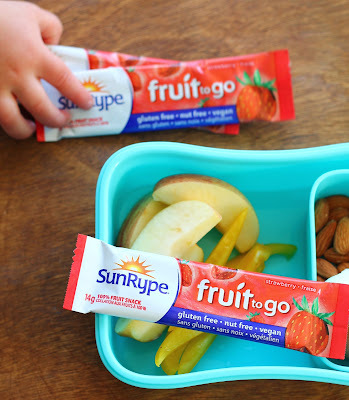 The Fruit to Go snacks are a big hit with the kids in our family. These bars are unique in that they are made with both fruits and veggies. The Apple Strawberry flavor is our favorite, but they are all really delicious. We like them as snacks, but also as part of a grab-n-go breakfast on days where we need to get out the door. What better way to kick off the back-to-school season than a sweepstakes? One of our favorite Disney movies, The Lion King, will be available for purchase on Digital August 15, 2017 On Blu-ray™ and DVD August 29, 2017! In honor of this big event, SunRype and Disney are sponsoring an exciting sweepstakes valued at $160-$165 USD each. Enter here for your chance to win 1 of 10 #SunRypeSnacks4School prize packages! From now through August 28th, 2017, two random winners will be chosen each week from the entries received at the time of the drawing. The first drawing starts on Monday, July 31st, 2017. The last drawing will be done on Tuesday, August 29th, 2017, so be sure to enter now! Entries will be carried over from one week to the next. Only one win allowed per person. For those with allergies, all of the SunRype products are Gluten-Free, Peanut-Free, Vegan AND Kosher. We have to shop gluten-free when we are hosting for particular family members, so we know how difficult it can be to find food options that fit these requirements and are actually delicious, too. All in all, we really enjoyed all of the bars that we sampled and like that they fit into our healthier lifestyle goal. If you're interested in trying them, SunRype is also now available online Amazon. SunRype's also has a locator page to help you find a retailer in your own area. Disclaimer: This post is sponsored by SunRype products. Across the Avenue is not responsible for prize fulfillment.